Fax, email and SMS messages are important sources of information for business processes. These processes are typically handled via Enterprise Content Management (ECM) systems and include insurance claims, benefits applications, health insurance quotations and loan applications, to name but a few. In an ideal world, related documents are automatically uploaded under the right criteria to the right place and initiate the right workflow in the ECM solution. In practice however this is frequently a laborious, cost intensive and error-prone manual process. 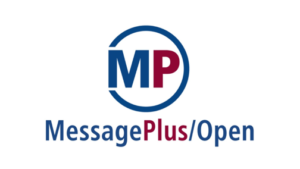 MessagePlus/Open offers a comprehensive analysis module allowing the categorization of unstructured or semi-structured content received in fax, email and SMS messages. Documents can be easily classified according to metadata such as the address of the sender or the receiver. Text analysis features are part of the standard package and high quality OCR tools of 3rd party suppliers can be transparently integrated into the message processing workflow together with advanced data mining tools. Index classes, item types and other attributes of ECM solutions can be automatically determined with help of such advanced technology. Flexible XML based application interfaces provide the means to automatically upload the content as well as the extracted structured information to all major ECM solutions, in particular to IBM’s Content Manager and FileNet P8.